In my third year as an undergraduate at McMaster University, Dr. Michael Egan (author of Barry Commoner and the Science of Survival) strode into our small, grey “History of the Future” classroom. He turned to face us, leaned against the desk, and with an air of authority and insight that betrayed his youth asked, “Is necessity the mother of invention, or is invention the mother of necessity?” That has always stuck with me. Back in 1985 the BBC aired a series hosted by historian James Burke called The Day the Universe Changed. Albeit quite dated and leaving gaping holes in history, it attempted to examine the role of scientific and technological innovation in shaping the future. More specifically, it focused on how our perceptions of the universe can be altered entirely by one swing of the scientific and technological discovery pendulum. In line with this, Dr. Egan helped us look back on our imagined future throughout history-and how wrong we've always been. We are hopelessly bad at predicting the scope and speed of technological and scientific growth. We are worse at predicting how this affects us, and even worse, still, at how it affects our world. We've built societies around our need for a car, when we didn't really need them in the first place-we just wanted things to be slightly easier. That's really all science and technology is: developing something to make our lives easier. Life then becomes more difficult if you take that thing away; so we don't. We create a need by creating a thing! Yet we ignore consequence, and in doing so create insatiable hungers for things that harm us (fossil fuels). Our answer, as usual, is to invent something to solve the problem; in this case, we need to. Fast-forward to 2016 and hopefully the pendulum has swung far enough for people to notice. 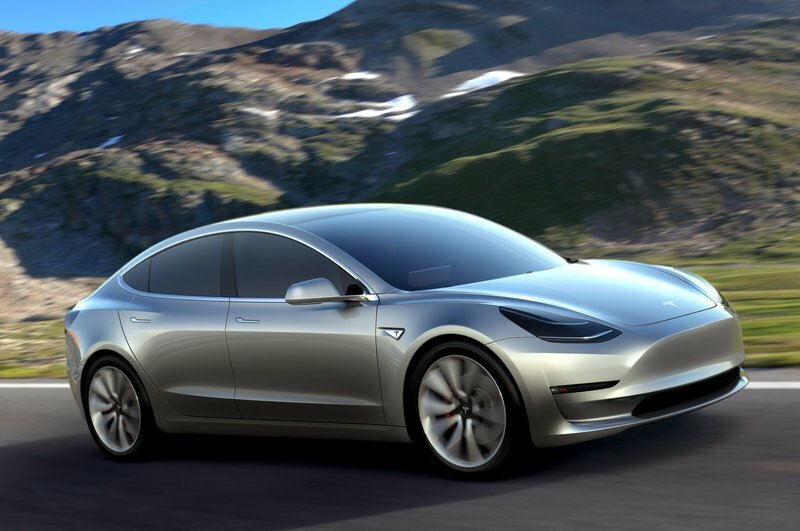 Recently, Tesla announced its newest model of the electric car, the Model 3. Why is this special? This car is made, specifically, to be an affordable, realistic option to stifle the need for fuel-burning cars. There's something you don't hear in capitalist societies often (ever? ): doing good while selling something. This almost sounds too good to be true! Realistically, the batteries need to get good enough to go over 500km on a single charge (they currently go up to about 340), but what's more important is the infrastructure. When you drive up to Carcassonne, or down to Tarragona, the last thing you want to worry about is how you're going to get back. However, this may be one of those moments in our history where someone like Burke will look back and say that Tesla jump-started the need for a sustainable infrastructure built around the electric car. This may be a step towards an imagined future that we might actually get right-at least, I hope so. Last month we celebrated Earth Day. We do so every year almost as if every day weren't. I'd like to think that the incentives on offer will entice people to go electric, because, at this point, this invention is a necessity. Lately, the environmental future of our planet looks pretty bleak, and that should be worrying for us given that it's because of us. With the way technology has developed, it really shouldn't be a problem. And yet it is, because attitudes have not evolved alongside technology. In 2010, the Spanish government's decision to retroactively cut subsidies to solar power put solar energy plant operators in jeopardy of bankruptcy (after they had already invested in building the solar farms). This severely undermined its global role in the renewable energies sector. Then, just last year, it went a step further and approved a “sun tax”, which must be paid even if that solar energy is not fed into the grid, and used solely for self-consumption. Just to confirm: Yes, this IS absurd. If our ability to predict the future hasn't improved, our ability to shape it undoubtedly has. Necessity and invention are one and the same pendulum of science and technology, in that those interactions shape our future. Science is based on a need to question and discover; this spurs technological growth the same way invention fuels necessity, and vice-versa. Over the next decade(s) the way we continue to imagine our future will be radically changed through the development of a more sustainable world. I just hope we're right, for once.